Happy birthday, friends! It’s time for a birthday party theme in the dramatic play center. It’s quick to set up, a ton of fun and it’s super easy to embed a ton of math and literacy into their play. Props are easy to find and collect too. I’m going to share all my favorite birthday props and ideas so you can make an amazing birthday party too. Grab ALL of my Birthday Party Dramatic Play props and printables (parent letter, labels, signs, and a ton more) in my TPT store HERE. This is what my birthday party looked like at the end of our theme. Students helped create the decorations, which took about a week to create. It’s also important to note that I slowly add new props to keep students excited and engaged. You can do a birthday party theme for two, three or four weeks. In the dramatic play center, I have two shelves for props. One shelf is filled with all my fun birthday themed props like hats, cards, present bags, decorations, tablecloth, card making goodies, cake, as well as a few baking props. The other shelf (not pictured) had basic home living props like shoes, purses, wallets, pets, pet food and baby things. Most of the birthday props are from the dollar store or families donated them to our classroom. In my Birthday Dramatic Play pack, there is a parent letter you can send home. It asks families to donate any extra birthday party supplies they have to the classroom! 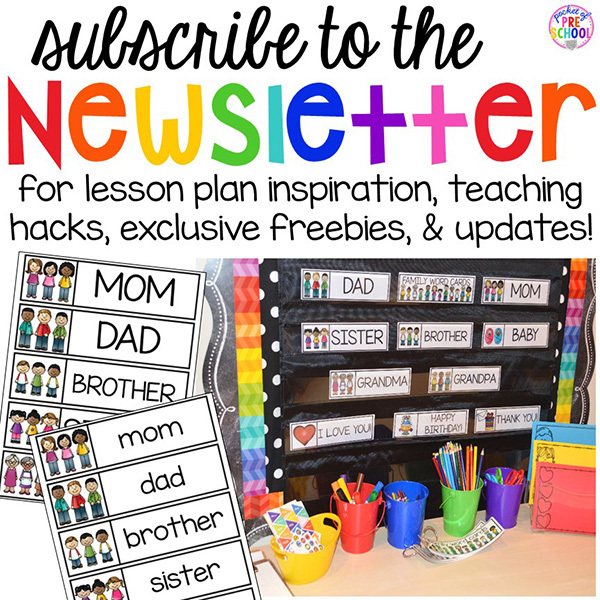 Now you have FREE birthday props from your students’ birthdays! 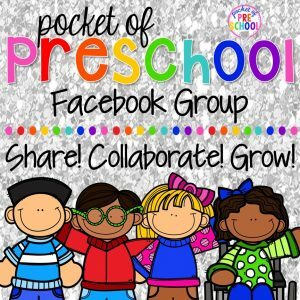 It’s a quick way to build community and culture in the classroom because children love sharing about their birthdays. Let’s talk about the Birthday Party decorations! Have students cut lines to create paper chains. If you have little learners who can’t cut lines yet, have them cut 1-inch strips. It’s a fun scissor skill activity, and it makes the birthday party bright and colorful. I staple the confetti strips to the chains randomly. Teachers want students to write and draw during play! 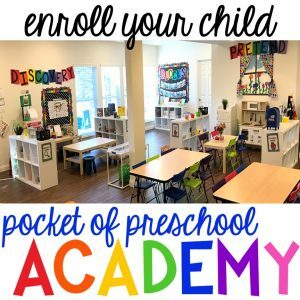 An easy way to encourage this is to add real birthday cards and invites to the center. I laminated these so students can write and draw on them with a dry erase marker. How amazing are these scribbles from my three-year-old friend? If you look closely, he put one card in each of the gift bags too! It turned into a counting activity for him too! I also put out blank paper cards and invites for students to trace, write and draw. This way they can take it home after play, or I can keep it for his/her portfolio! Gift tags! All gifts need gift tags. I laminate a few and now students have another reason to write. Place student name cards next to the basket for support. Party tableware! Every party need birthday plates, napkins and cups. You can tell families donated these because they don’t match. They are different sizes, colors and shapes which means now students are exploring (and talking about) more math concepts during play. Cake, cupcakes or cookies? All birthdays have some kind of delicious dessert so place baking ingredients in the fridge! I use mostly empty containers to add environmental print to the center. The sprinkles jar is a real jar of sprinkles, with real sprinkles inside, and the top hot glued closed. The bottom bins are typical plastic food. I did buy THIS wooden birthday cake for the party. If your students don’t bake or cook with their families at home, you will need to model how to make a cake. A great way to do this is to make a real cake at school. Look at this cutie making a cake! He’s mixing and measuring the oil, eggs, flour, icing and milk. I wish his face was in the photo because he was so serious and focused on making his cake. If you do it for them, they are missing out on so many counting and sorting opportunities. It is a fun way to practice sequencing. Every party needs games and activities. At our birthday parties, students can do pretend face painting. They are so careful and kind as they paint each other’s faces. To add some gross motor fun, I added a bean bag toss. I made it with the help of a few kiddos using one of those tri-fold boards (like for a science project). It’s also an easy way to sneak in an activity to help them practice throwing to a target. Trust me when I say, a birthday party in the dramatic play center is SO MUCH FUN! Students will learn through play as long as you intentionally plan or add some of these suggested props. 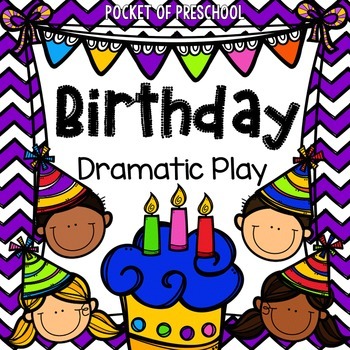 Grab all of the Birthday Party Dramatic Play prop patterns, cards, invitations, labels, signs, prop making directions, parent letter and so much more HERE. All the work is done for you! All you need to do is print, prep and head to the dollar store to grab a few props. Need birthday themed activities and centers? I’m here to help with tons of birthday themed inspiration. Check out this Birthday Theme post. If you need to find a few fabulous picture books for a birthday theme, check out my top 16 Birthday Books!